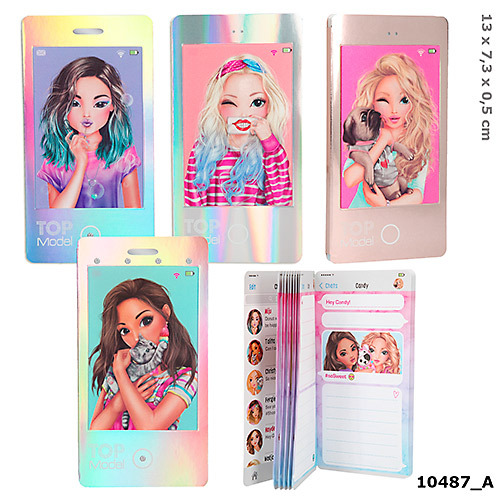 These Top Model notebooks are really cool! With lenticular printing used on the cover you can change the cover model's pose by holding the pad at an angle! There are 4 cute designs in trendy colours! Inside there are 80 pages with a chat-style design which provide plenty of space for important notes. Safety Information: Warning. Not suitable for Children under 3 years.